Enhance a variety of Mexican and southwestern meals with these Old El Paso refried beans! These refried beans will lend extra flavor and a creamy texture to your meals. Create a rich and hearty four bean chili, provide as a foundation to your signature layered taco dips and casseroles, or use to create vegetarian quesadillas, fajitas, or rice bowls. A hearty, delicious base for a variety of meals, these high-quality refried beans are sure to be a valuable addition to your establishment. 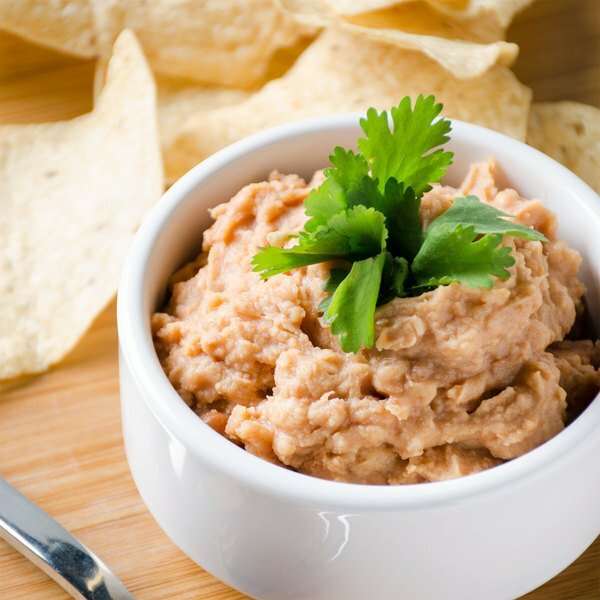 Made from cooked pinto beans that are then pureed, these refried beans have a slightly sweet, earthy flavor and creamy texture that is versatile in application. These hassle-free beans require no prep work and are easy to heat by stove top or microwave, making them a great option to cooking refried beans from scratch and reducing labor costs in your establishment. Whether using these beans in cooked entrees or simply heating up for a savory side dish, these refried beans save valuable prep time and make a delicious addition to a variety of flavorful dishes! 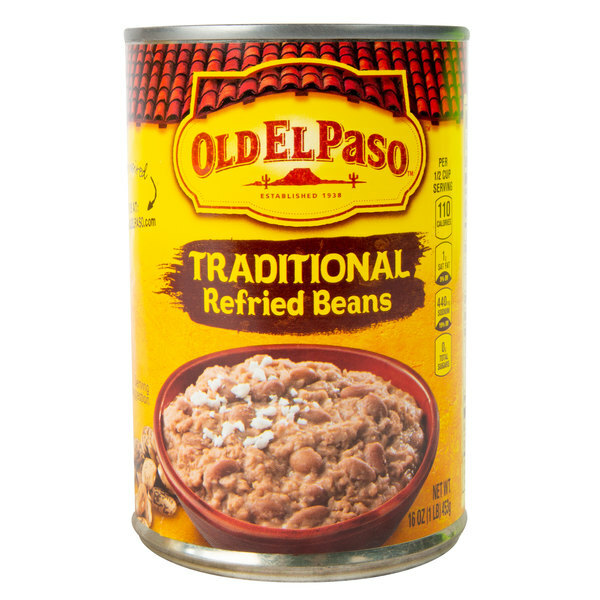 Established in 1938, Old El Paso was born out of a love for food and a passion for unique flavor. Bringing you the authentic taste of Mexico, it has become a well-known, trusted brand that consistently delivers high quality products. For a premium taste you can rely on and your customers are sure to love, serve up the best with the help of Old El Paso. Re-fried beans have always been a staple at my house and finding one that tastes almost like the homemade version is hard. But when I came across this particular brand I decided that I needed to stock up! Great authentic flavor, and I love the convenience of the can - just heat and eat!